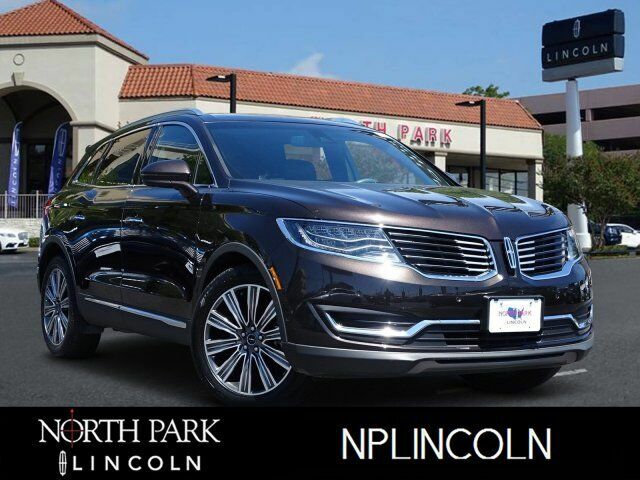 Lincoln Certified, LOW MILES - 19,874! Nav System, Moonroof, Heated/Cooled Leather Seats, iPod/MP3 Input, Satellite Radio, Panoramic Roof, Premium Sound System, Power Liftgate, Aluminum Wheels, TECHNOLOGY PACKAGE. SEE MORE! Leather Seats, Navigation, Sunroof, Panoramic Roof, Power Liftgate, Heated Driver Seat, Cooled Driver Seat, Premium Sound System, Satellite Radio, iPod/MP3 Input, Onboard Communications System, Aluminum Wheels, Remote Engine Start, Dual Zone A/C, Blind Spot Monitor. Rear Spoiler, MP3 Player, Privacy Glass, Keyless Entry, Remote Trunk Release. TECHNOLOGY PACKAGE Active Park Assist, 360 Degree Camera, Front Park Aid Sensors, DRIVER ASSISTANCE PACKAGE Adaptive Cruise Control, Pre-Collision Assist w/Pedestrian Detection, distance indication, collision warning, brake support and active braking, Lane Keeping System, lane-keeping alert, lane-keeping aid and driver alert system, 22 WAY ADJUSTABLE FRONT DRIVE/PASSENGER SEAT multi contour functionality, power head restraint and thigh extender, CLIMATE PACKAGE Heated Steering Wheel, Heated Rear Seats, Automatic Rain-Sensing Wipers, Auto High-Beam Headlamps, CARGO UTILITY PACKAGE cargo compartment w/reversible mat and power converter 110V power outlet, Molded Plastic Storage Bins, spare tire vanity cover under cargo floor, Rear Cargo Management System, liftgate scuff plate, cargo net and 2 chrome cargo tie-down hooks, Interior Cargo Cover, ENGINE: 3.7L V6 TI-VCT (STD). Radio: Revel Ultima System w/HD Radio/Single-CD -inc: 19 speakers, auxiliary input jack, SiriusXM satellite radio (48 contiguous states) w/6-month prepaid subscription, Service not available in Alaska/Hawaii Subscriptions to all SiriusXM services are sold by SiriusXM after trial period. If you decide to continue service after your trial, the subscription plan you choose will automatically renew thereafter and you will be charged according to your chosen payment method at then-current rates. Fees and taxes apply. To cancel you must call SiriusXM at 1-866-635-2349. See SiriusXM Customer Agreement for complete terms at www.siriusxm.com. All fees and programming subject to change.